Toddlers need swimmers. It they're going to be playing in the toddler pool - they need to be dressed for it! So here are 7 swimmers for the little girls and 7 trunks for the little boys. They are made with the meshes by fakepeeps7 - the queen of toddler clothes! And while you're there you might as well download her recolours as well - because they are awesome! For the girls - their swimmer is a two tone, with a dark accent piping. Two of them have a metallic star detail. The boys have their trunks with a white racing stripe down the side. Both sets are done in 7 of the MLC Palette - Bone, Cork, Envy, Heather, Malachite, Mimosa and Porcelain. I forgot to mention! These are categorised for Everyday, Undies and swimmers. If you have these before you change for the pool, it will choose the swim category. If not it will choose Undies. And I did it in everyday because that seemed to be the only category that we could buy things for toddlers in - not swim or undies? 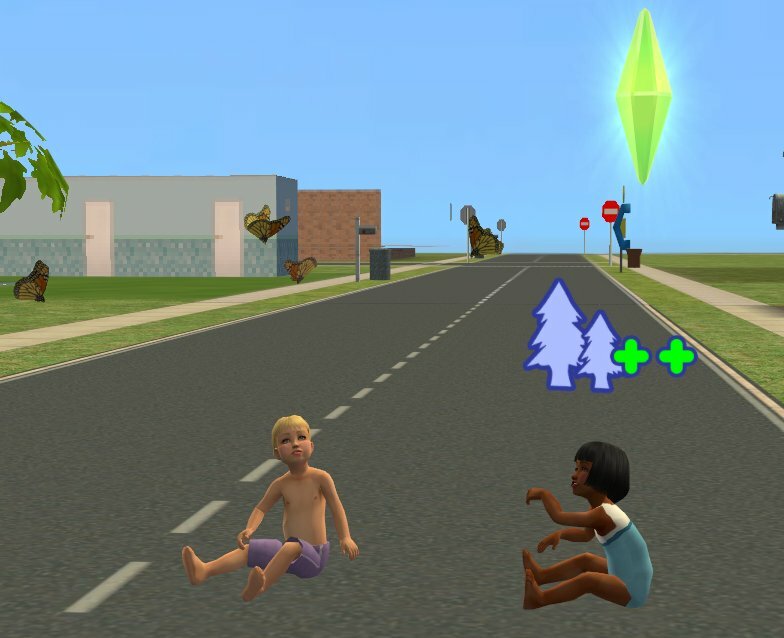 awww, toddlers are the cutest. So adorable. And toddler-hugging-toddler has to be one of my favouritest interactions ever!